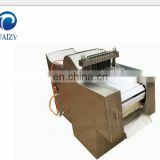 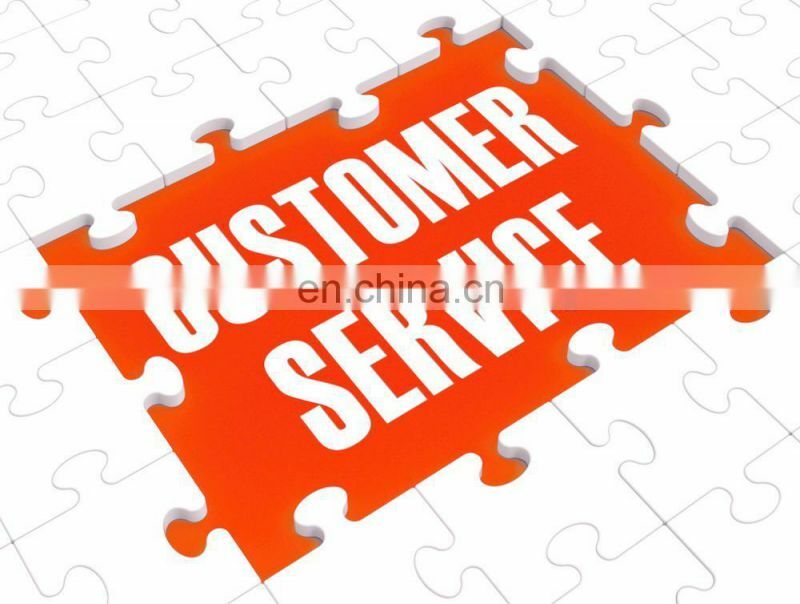 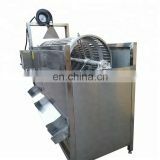 2.The machine will automatically send fruit - fixed fruit- peeling - discharging-separation. 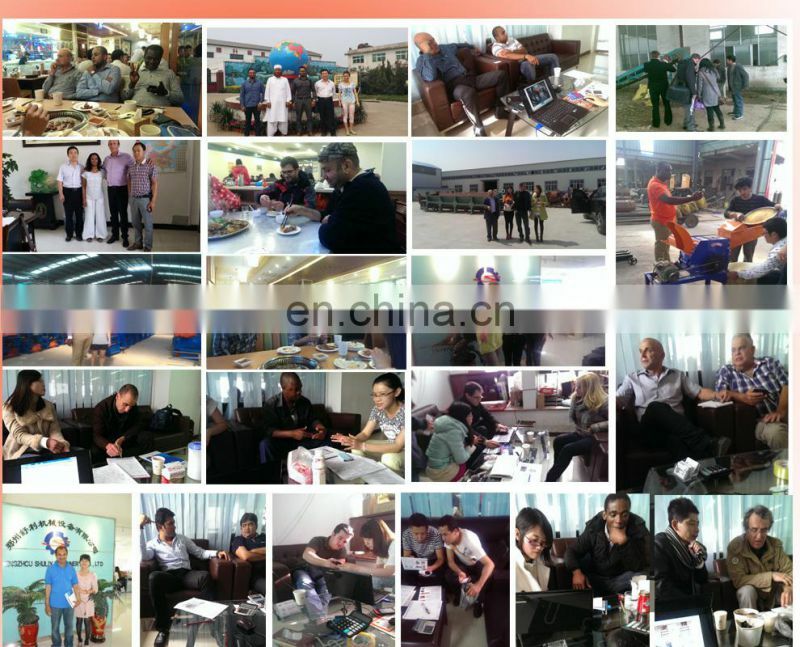 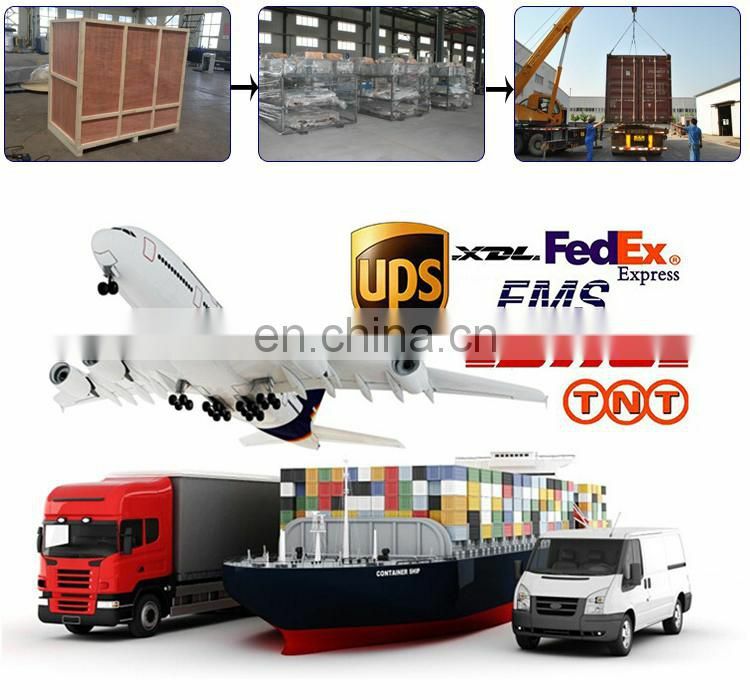 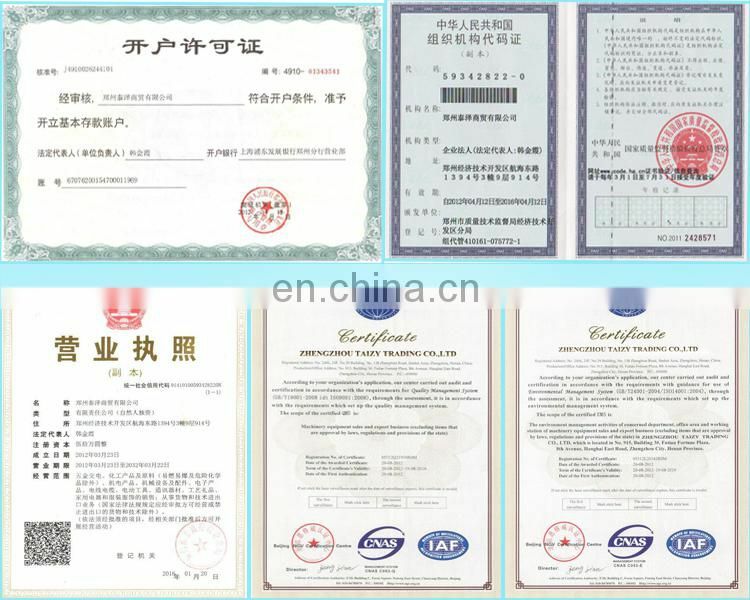 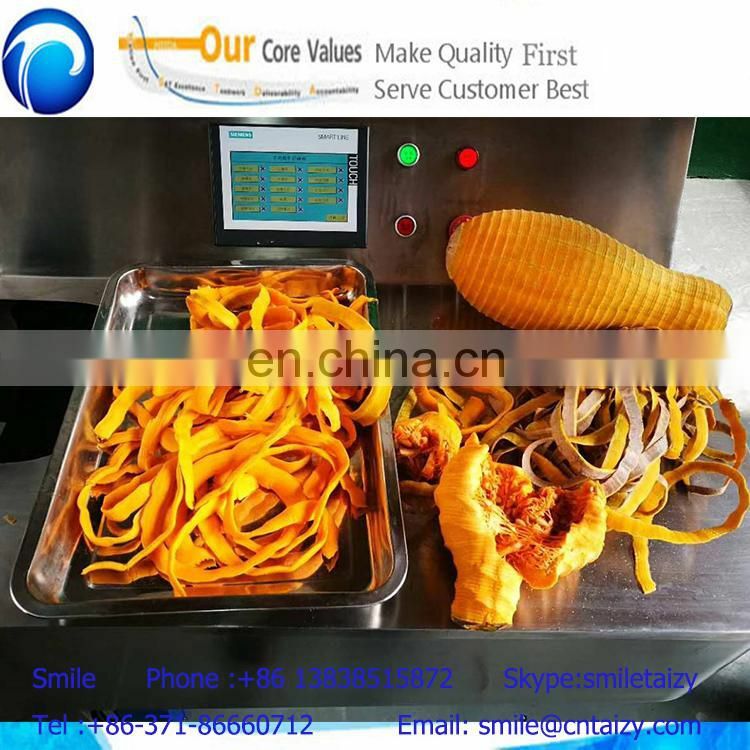 It is industrial processing dried mango, sheets, dried, butyl, article, block,sauce, juice, powder, canned, frozen, fresh cut of key equipment. 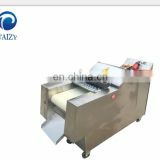 3.The machine is designed for peeling fruit. 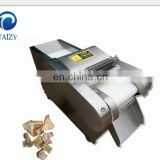 High peeling rate; It can adapt to the shape of fruits well.It is suitable for peeling apple, pear, papaya and sweet melon.It has the function of peeling, pitting and separating at the same time. 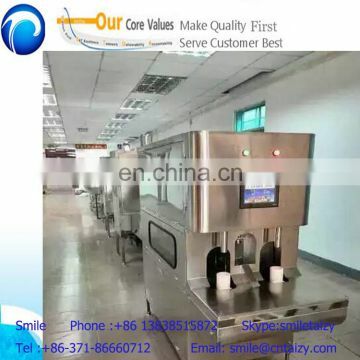 Made of stainless steel, it is controlled by micro computer Omron. 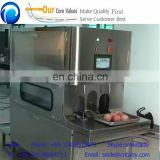 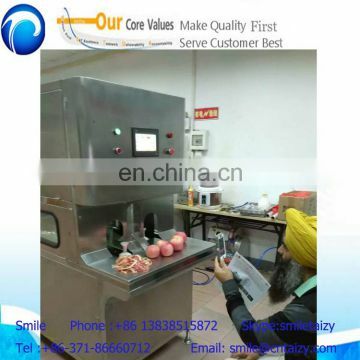 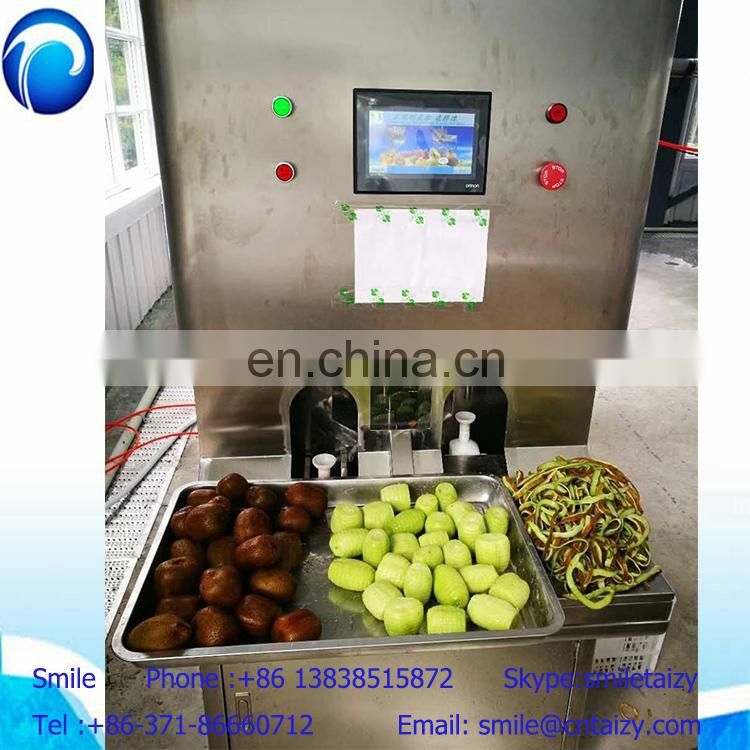 By clicking the touch screen, you can set the parameters, then put the fruit into the feeder,the machine will peel, pitting and separating automatically. 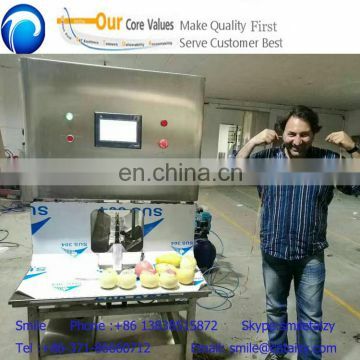 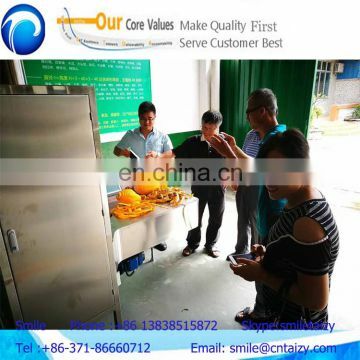 The fruits' skin and core and fruit pulp will be discharged from three different holes. 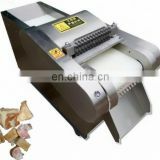 1.used for peeling the skin of kinds of fruit. 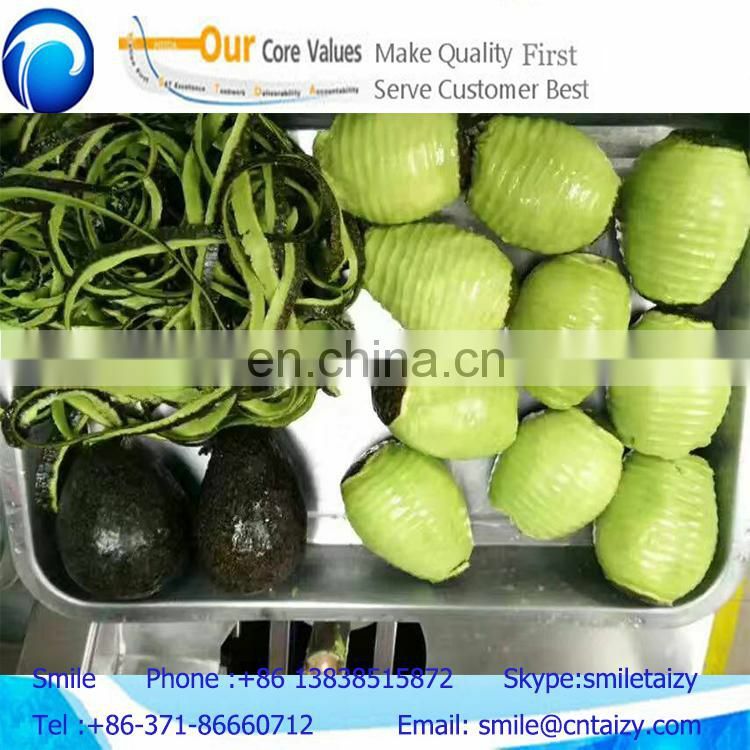 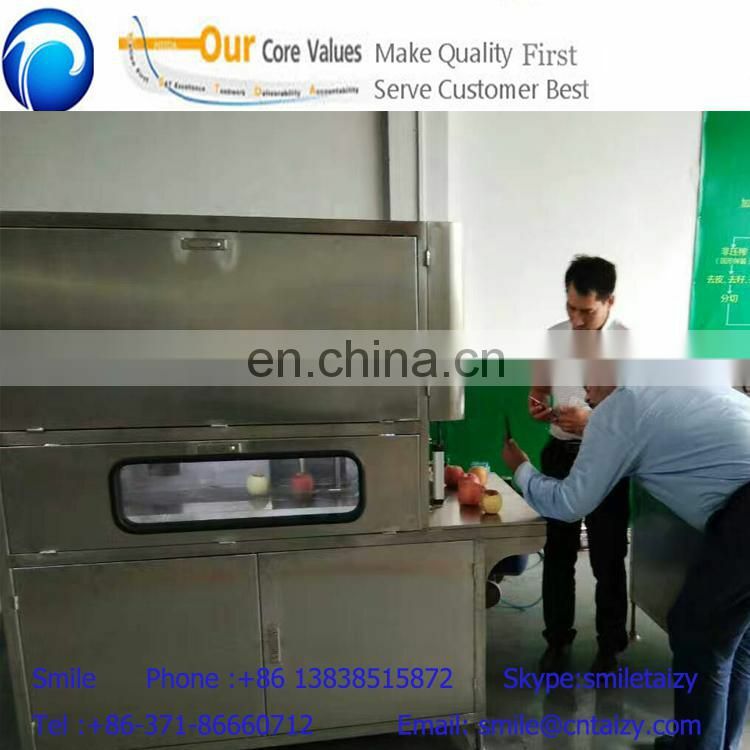 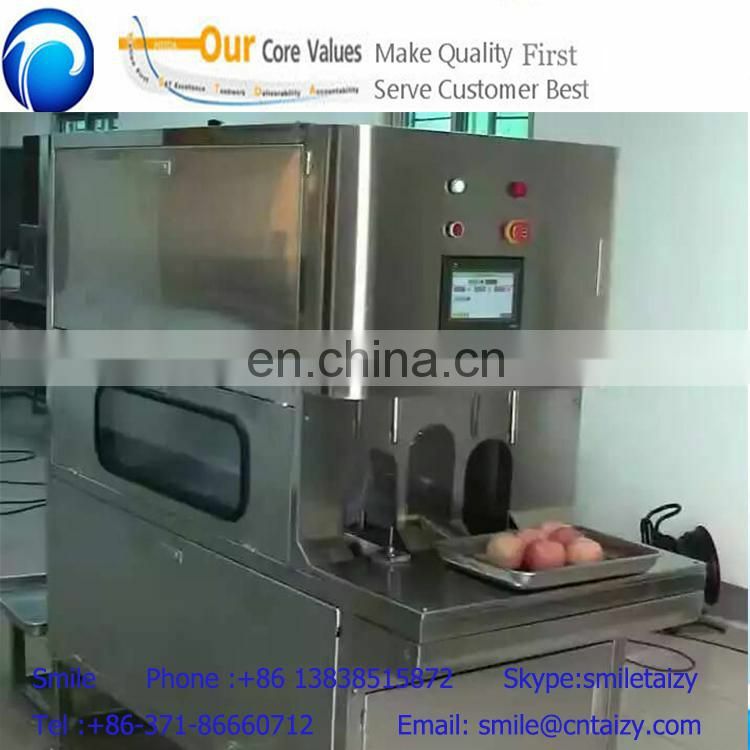 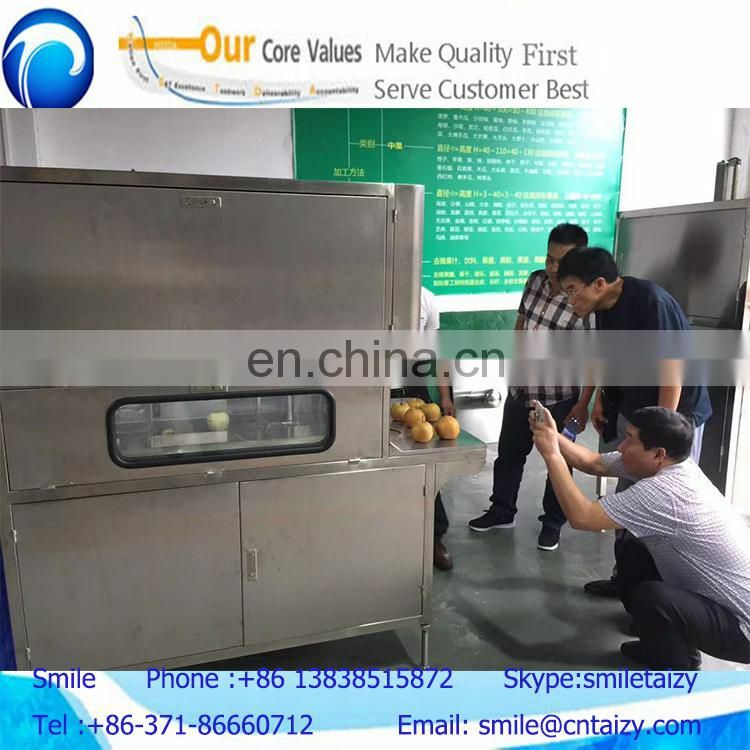 5. three outputs would be strip Peel, round top peel and pulp separately 6.the slicer and peeler we have can be used for: apple,orange,mango,kiwi, Persimmon, pineapple, radish, papaya, balsam pear,banna, coconut,avocado,taro, tomato, etc kinds of fruit and vegetable.